Charlotte has a long, successful history with SRC and GGOB. SRC was Charlotte’s first job out of college working in customer service within the sales and marketing department. Yes, this was before Jack Stack’s book The Great Game of Business was published! At a young age she was tasked to be supervisor. She assisted in developing a team of newly educated professionals to grow and develop through SRC. Many of them are now heading up divisions in SRC. And yes, she hired Rich Armstrong, her current boss! Charlotte thrives on challenge and adventure. She left SRC just before the GGOB book was published in 1992 to support her husband’s military career. He was an officer in the Marine Corp. She soon landed a job with a customer of SRC’s as a marketing manager. She also took on the implementation of GGOB at the company. You can read about her implementation at the company in John Case’s book ‘Open-Book Management: The Coming Business Revolution. It’s a powerful story that John Case uses to close the book. 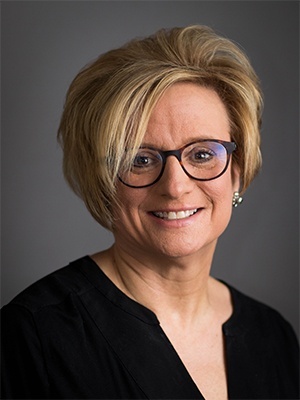 Charlotte returned to SRC in 1994 to manage The Great Game of Business and later held positions of director of business development and director of human resources for several of our sister companies. In 2002 she was persuaded by a GGOB practitioner and ESOP company to join their leadership team and lead their GGOB efforts. This is another powerful story you should ask her to share with you sometime. Now, life comes full circle and she finds her way back home as Director of Operations at The Great Game of Business. As Charlotte says….."SRC, GGOB is home and is where my heart has always been".